Rev. Johnson V, son of Rev. Dr. M. A. Varughese (Senior Pastor) was raised in an atmosphere which not just focused on Church but also the message of Christ. While the very first service began in 1996 and was stopped soon after; on March 9th 1997, Pastor Johnson decided to follow the Lord’s voice resisting every oppression. With zero member on the very first Sunday, followed by three on the third and seven on the fifth; it’s now the Largest English language congregation/church in the country. 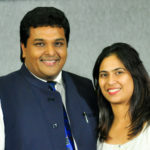 The undeniable favour of God has been evident in the rapid growth when the Church was moved from a small Community Hall, to the Hebbal Tent on January 16th 2005. Soon, in August 2006 services were shifted from the Tent into a basic building structure. Adjacent land was purchased to cater to the huge crowds. Additional rooms like an Infant care, library, church office etc. were added in 2007. Three years later, on August 4th the balcony was constructed to meet the expanding needs of the Church. Plans are to engage in an extensive Multi-Level Building structure expected to be the largest in its category in Bangalore. This is not just our story, but His-Story of How He, Jesus Christ has built this Church. Rev. 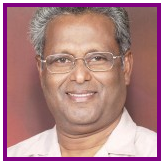 Dr. M. A. Varughese is the Senior Pastor of Bethel AG Church in Bangalore, India, one of the largest congregations in the nation, with worship services conducted in different places and several languages. Rev. Varughese, his wife, Mrs. Aleyamma Varghese and their two children, Abraham and Johnson, with their contagious zest for Christ, have been ministering to the church in Bangalore for more than two decades. Rev. Johnson V. is the Pastor in-charge of Bethel AG Church International Worship Centre. Chosen by God at a very young age to do His mighty ministry, Rev. Johnson gave his life to the call of God. Now more than 20 years on, God has been faithful to the humble ministry, the fruits of which are now evident. Born to an Air Force trainer turned full-time minister, Rev. Johnson had a passion for ministry inspired by his father Rev. M. A. Varughese. Prayer and study of the Holy Bible was part of his everyday life. Constant relation with God helped him build a solid relationship with his Maker, Jesus Christ. Rev. Johnson is married to Pastor Cynthia; they have two young sons.